Office Investment: who wants what? On Thursday 23 February 2012, BCO NextGen in the Midlands hosted a discussion event at the Barclays Latitude Club in Birmingham. 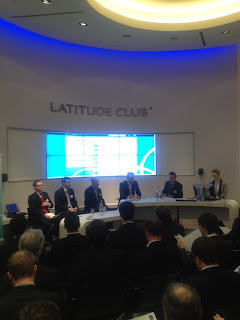 The venue hosted the first panel debate between five of the largest stakeholders in the future of Birmingham and the wider region, the title being 'Office Investment: Who Wants What'. 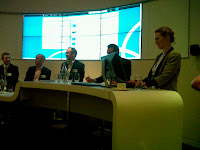 In front of 60 attendees, the panel, chaired by Carl Potter of GVA, answered questions from the floor and through the live feed of Twitter on a bank of monitors behind them. 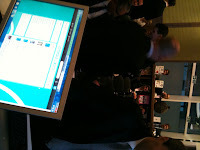 As each panel member provided their responses, tweets were fed back to the wider audience on line. Click here to view the “TweetScript”. With one hour allotted for the debate, time soon came to an end and was concluded with a summing up from Carl Potter (aka David Dimbleby). Overall the panel believe that speculative development, in the short term, is unlikely unless more that 50% is pre let, occupiers will continue to focus on shorter lease lengths, and future development will require close relationships with tenants. Ultimately everything is cyclical and whilst the recession has changed elements of the property market and development for good, memories are short and generations change. 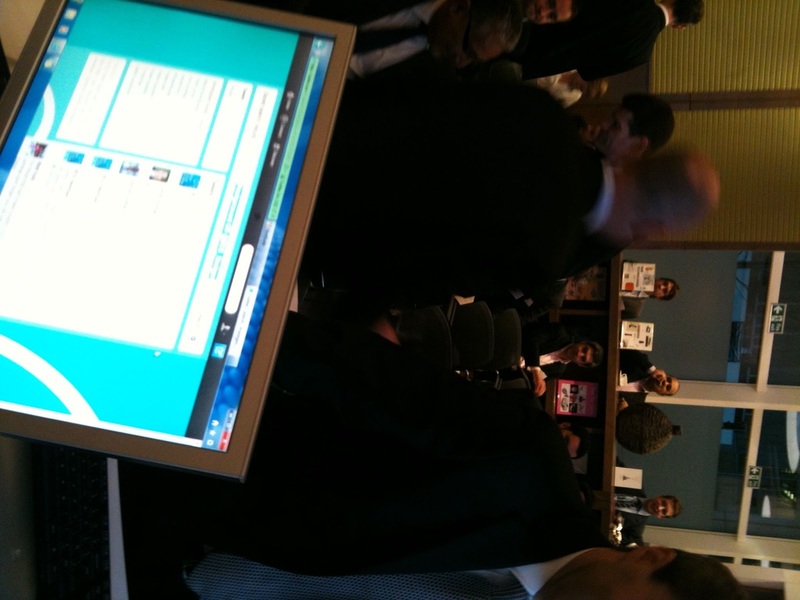 A selection of photos posted on Twitter from audience members. 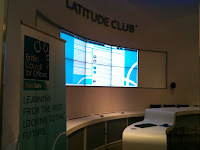 Getting ready at Barclays Latitude Club. The audience take their seats. Q&A with five of Birmingham's largest stakeholders. On a dark wet and windy Manchester evening the BCO NextGen Northern committee welcomed an accomplished panel of speakers their first discussion event. Over 40 guests arrived, in good spirits to hear the speakers' opinions on ‘the future of BREEAM’. Pre-event drinks warmed up our audience as NextGen Chair, Phil Mayall (Muse Developments) invited them to take part in a lively debate. The presentations were kicked of by a ‘peroni’ clutching Bill Gething from Max Fordham. Bill opened the debate with great vigour selecting examples from his lengthy experience of delivering sustainable architecture. Bill presented a checked history of BREEAM sharing his thoughts on its evolution over the past 20 years, discussing how it had influenced the development of buildings such as BRE HQ, National Trust HQ, Worcester Library and recently the Woodland Trust. Bill concluded that BREEAM has a future but the ‘system’ may need to evolve more rapidly than it has done to date, and react ever more challenging legislative frameworks. He suggested that, as building regulations move towards, Zero Carbon BREEAM would need to refocus its attention to issues of embodied energy and health and wellbeing. Our next speaker Peter Crowther from Bruntwood, presented the developer's view. Peter gave an honest summary of the difficult issues facing developers as they are challenged to maintain property portfolios and bring developments forward that stay ahead of legislative framework. Presenting Bruntwood's developments of 1 New York Square and Co-op HQ as case studies, Peter suggested that in the Manchester market an improvement in BREEAM "very good" to "excellent" required a rental uplift of £28 per sq ft to £30 per sq ft whilst and "outstanding" mark would need to achieve £33 per sq ft. Whilst green buildings seem to let faster they are yet to achieve a rental uplift or tangible improvement in yield to justify the capital investment when assessed on a purely financial basis. Peter suggested that, this will only change if landlords find ways to bring in ‘Green Leases’. Next up, Chris Cheap from GVA gave the Agent's opinion, echoing many of the sentiments presented by Peter Crowther. Chris believed that the future would see BREEAM remaining as an important tag for attracting large corporate tenants but that the real issue for the future was turning energy efficiency into tangible rental uplifts. Chris suggested that this maybe possible if the RICS advice, that DECs should influence rentals, is followed and tenants and developers pay more attention to post-occupancy reviews such as BREEAM in use. Moving on to an analytical and academic stand point Michael Cross from Mott Macdonald, a late stand in for Gordon Hudson, presented, that in the UK, as yet, nobody has presented a paper to suggest that BREEAM achievements relate to rental uplift. This was compared to papers published reviewing, the USA LEED accredited and Australian Green Flag accredited markets. These papers state that higher rated ‘green’ buildings could achive in the region of a 5% rental uplift. Michael suggested that, in the UK, BREEAM needed to go back to its roots and promote the design of high quality spaces by finding ways of improving the influence that the Health and Wellbeing credits have on building design, assuming that a tangible value could be realised on the premise that good environments improve business productivity. Our final Speaker Alex Solk from Sheppard Robson reviewed his relationship with BREEAM as a tenant advisor. Using the example of the BBC relocation to Media City at Salford Quays, Alex suggested that BREEAM needed to re-focus by promoting healthy productive and space efficient workspaces, offering that energy assessments needed to be more than a cost in use but should reflect the whole life cycle of a building. Alex strongly believed that for a tenant BREEAM is a strong indicator of sustainable design and that assuming it evolved with the times its position as a important ‘kite mark’ would remain well into the future. Following the presentations a number of interesting questions from the floor challenged the panel. Phil Mayall brought the debate to a close with the conclusion that cost effective environmental design was key to the successful management and development of the property portfolios of the future. Many thanks are extended to our excellent panel as they helped to make the debate interesting and engaging for all the attendees. BCO members can view copies of all presentations on the Research Portal.